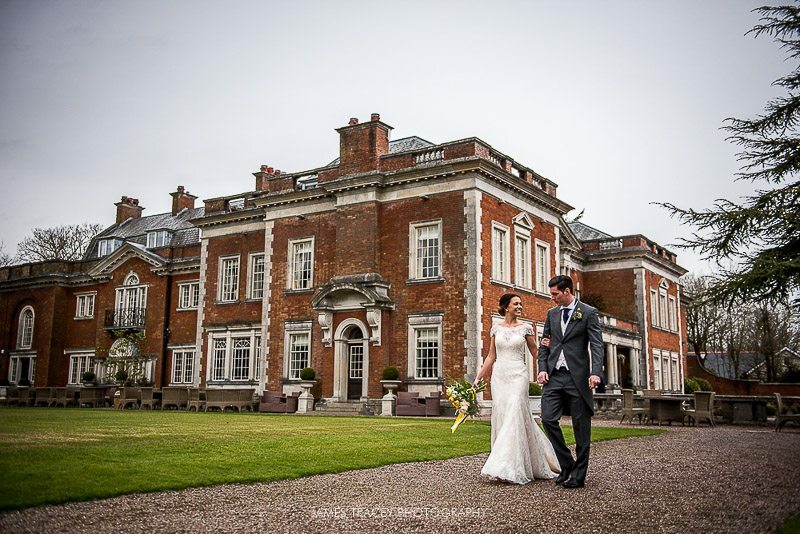 I’ve raved about Eaves Hall before on the blog, when I shot Cara and Mike’s Eaves Hall wedding photography in October last year. 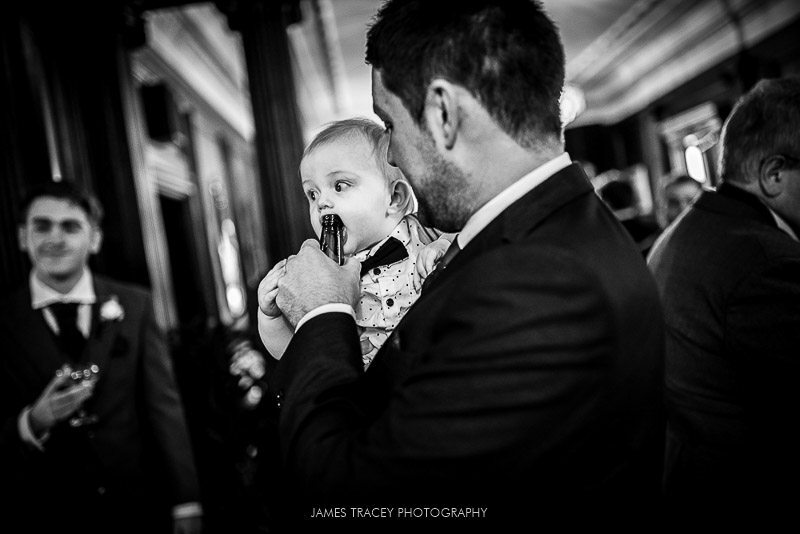 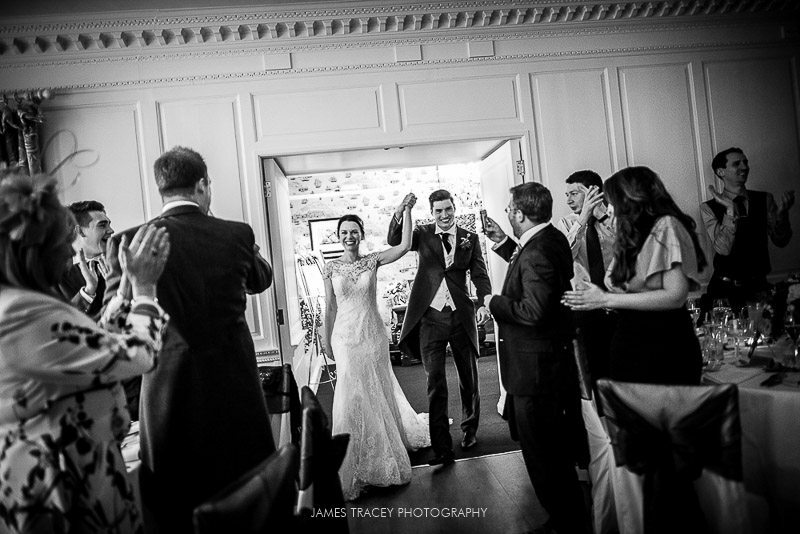 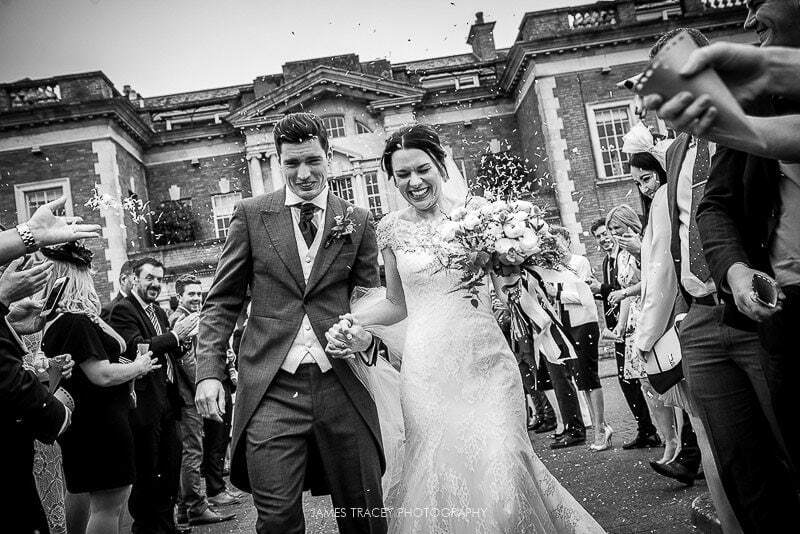 Eaves Hall is a beautiful venue set in the Ribble Valley in Lancashire. 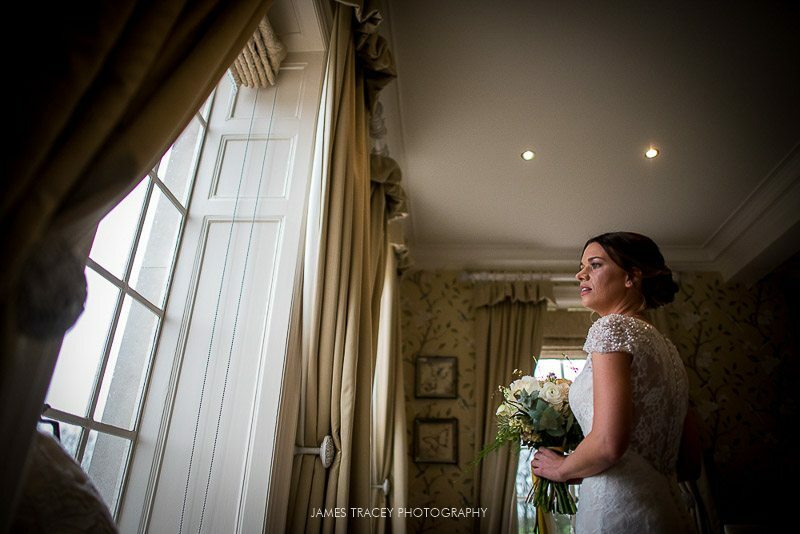 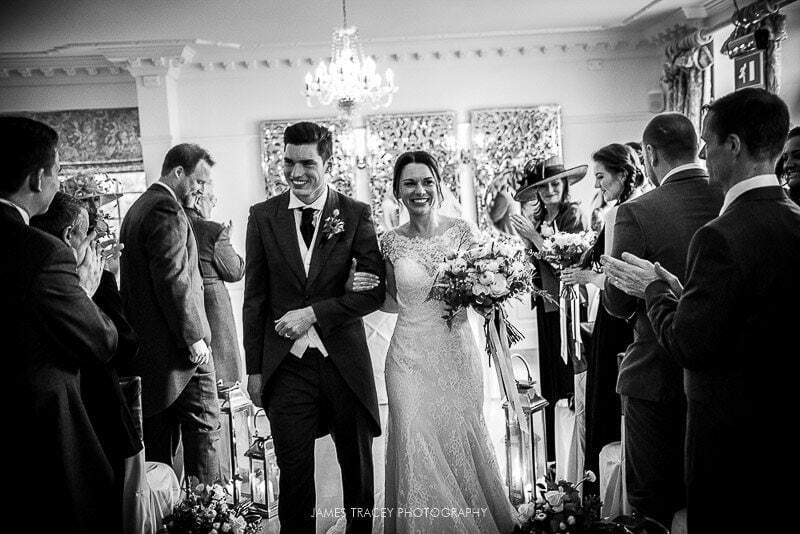 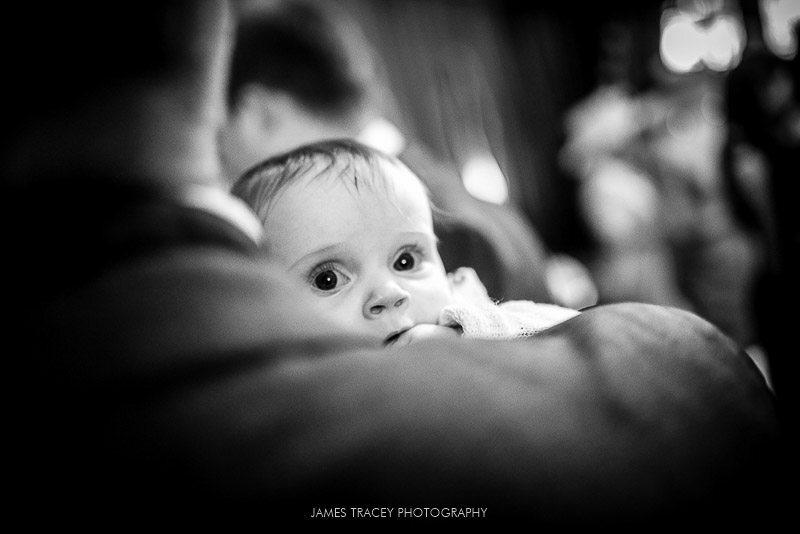 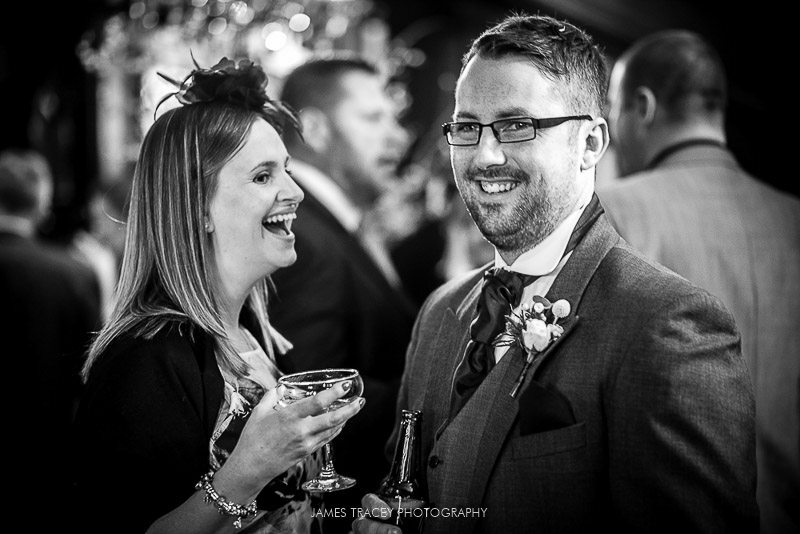 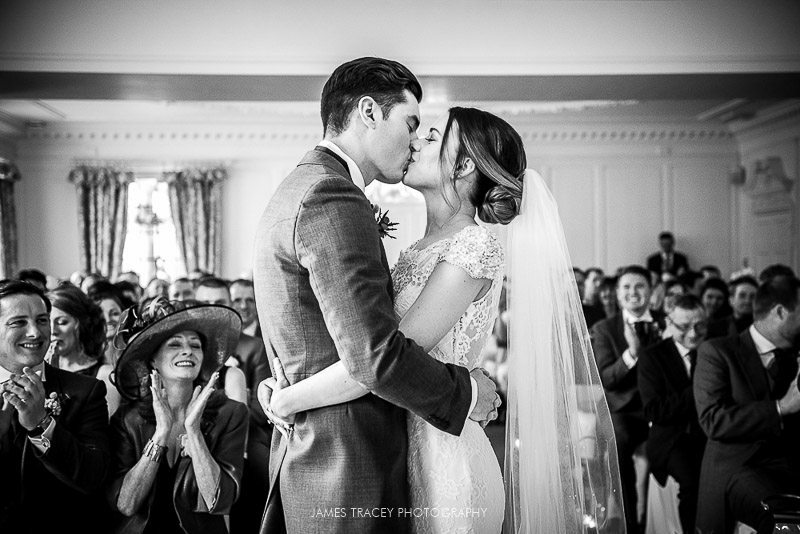 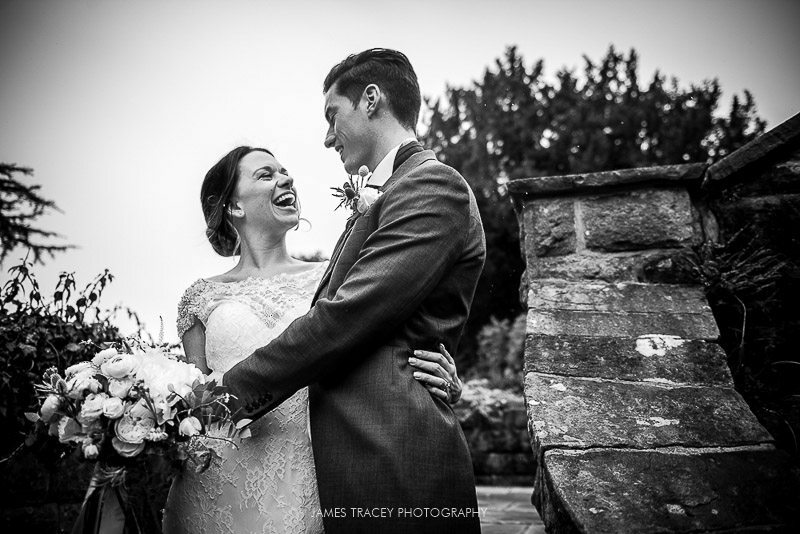 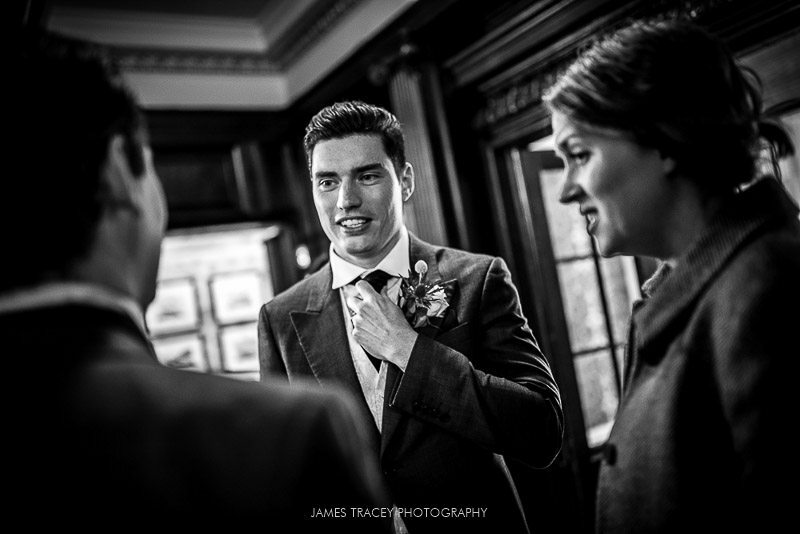 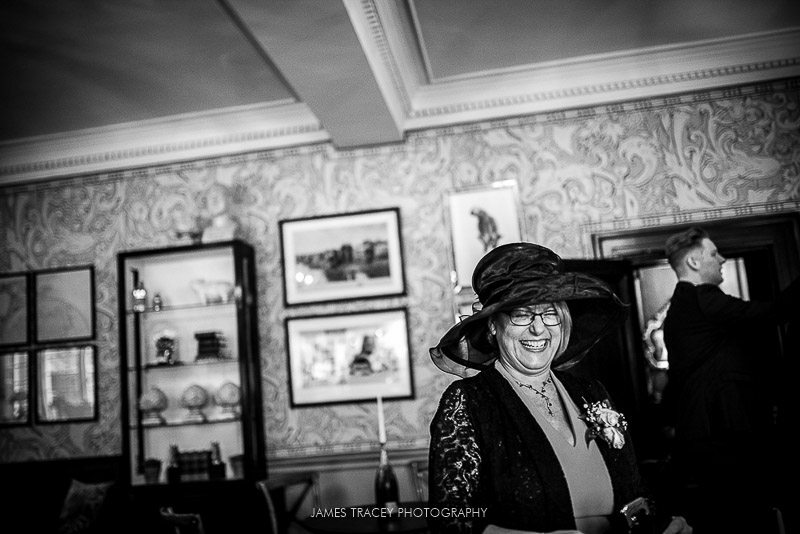 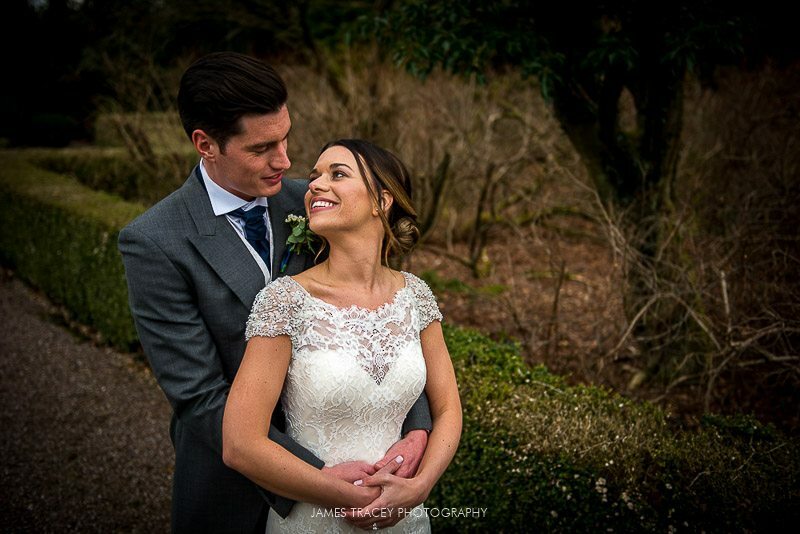 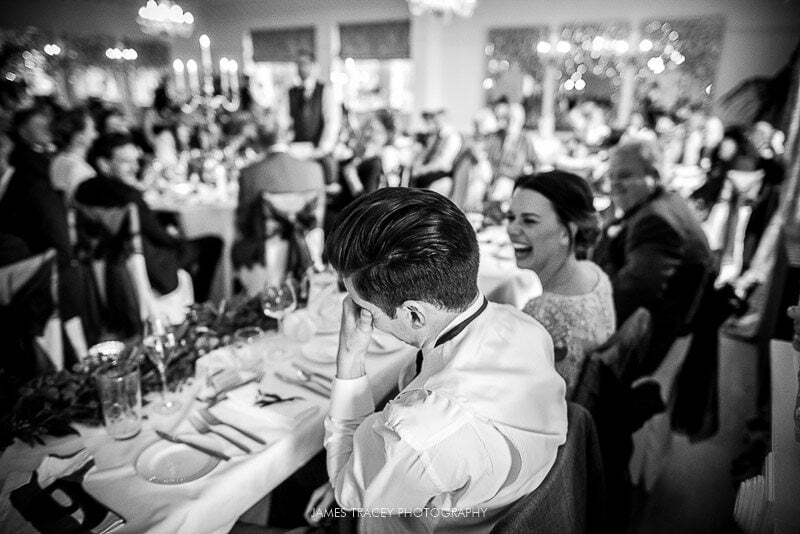 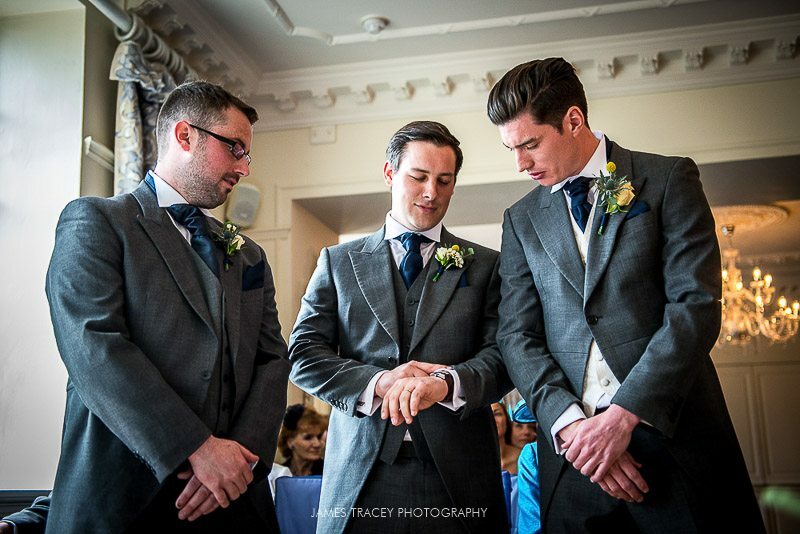 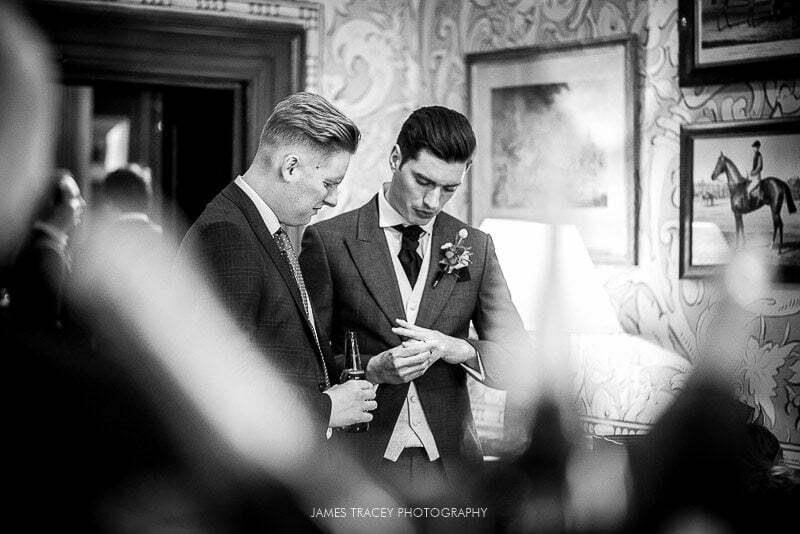 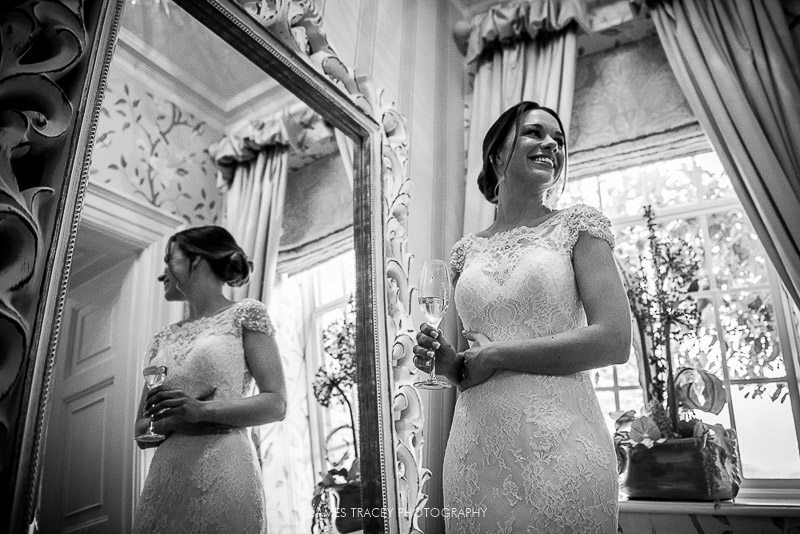 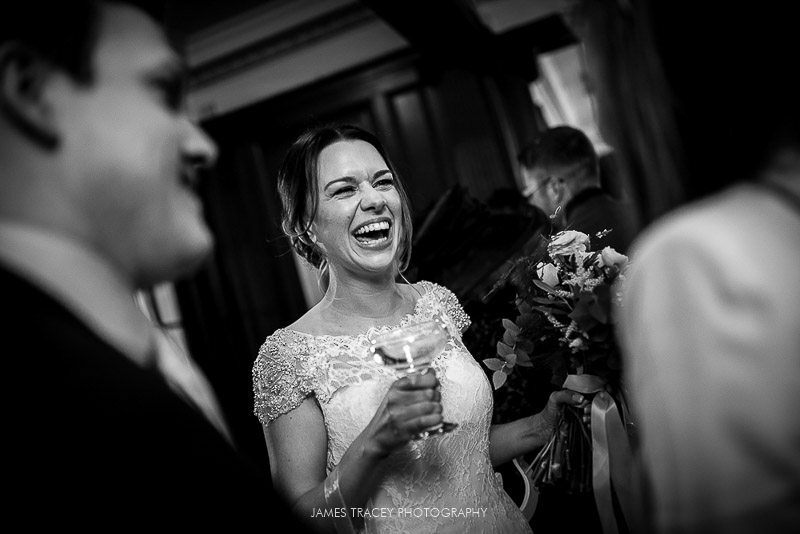 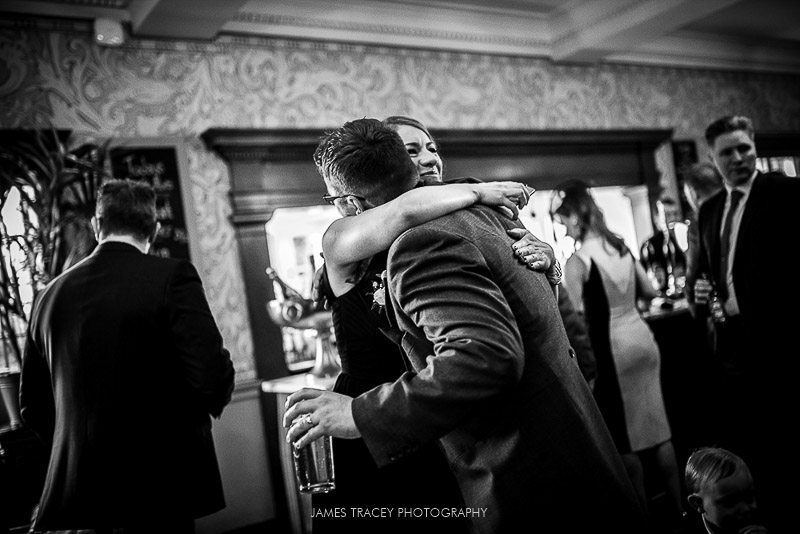 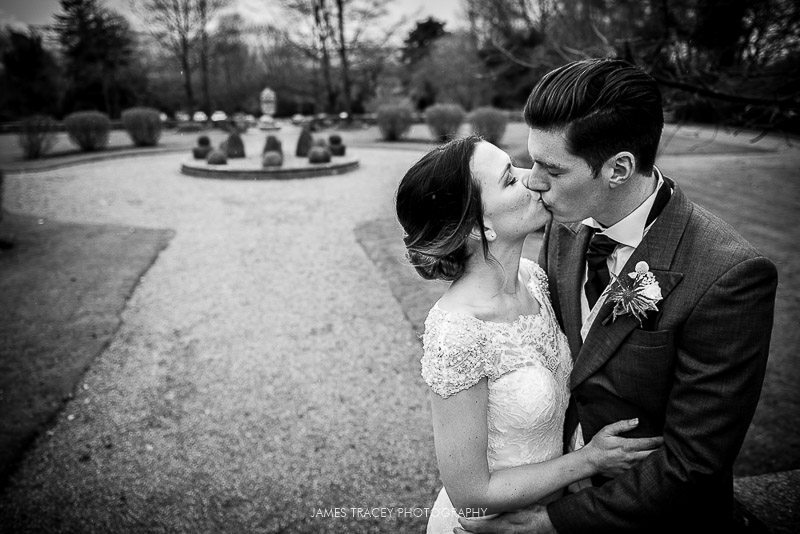 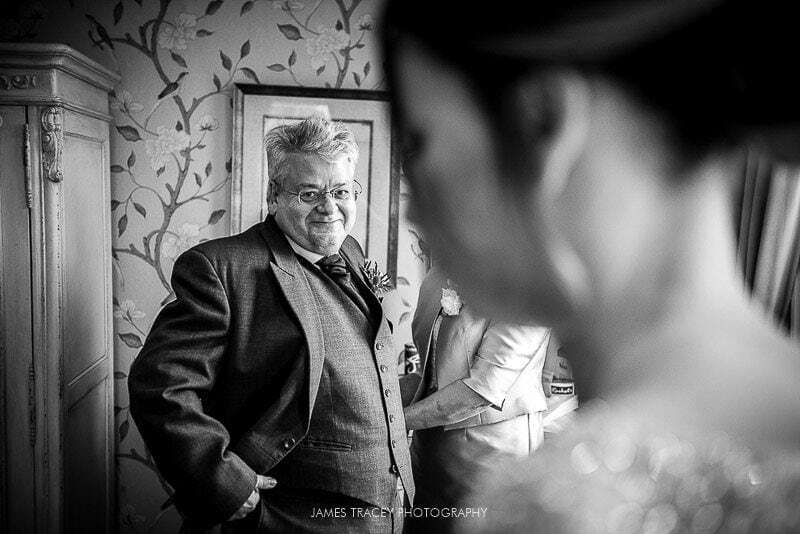 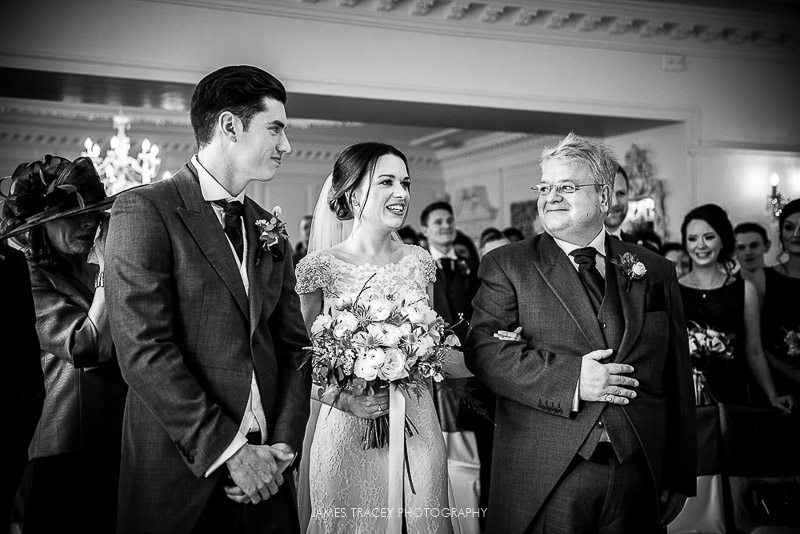 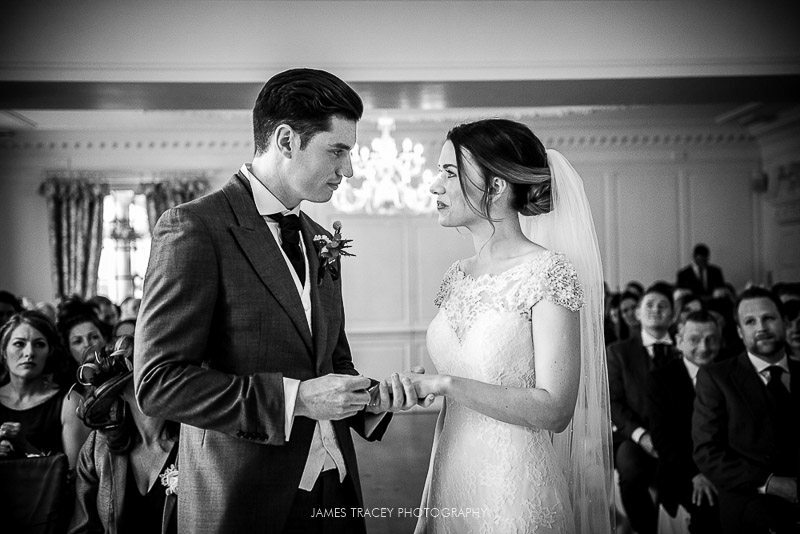 I was delighted to head back to photograph Kayley and Alex’s wedding. 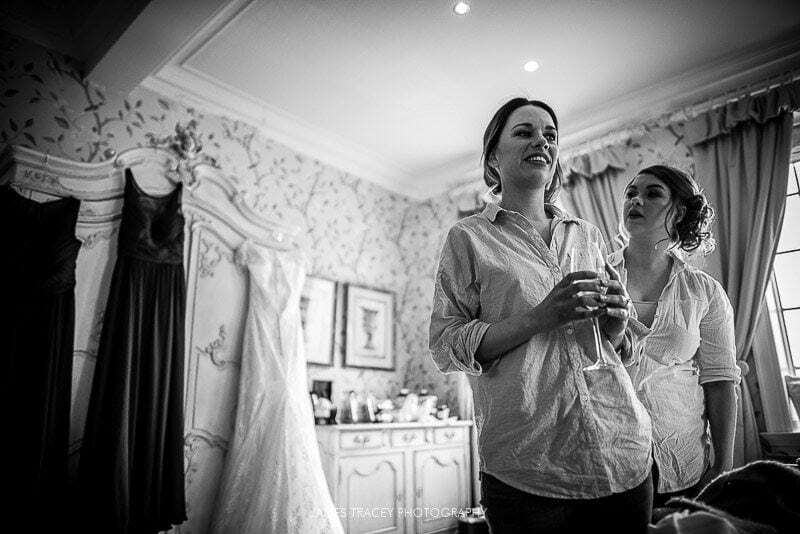 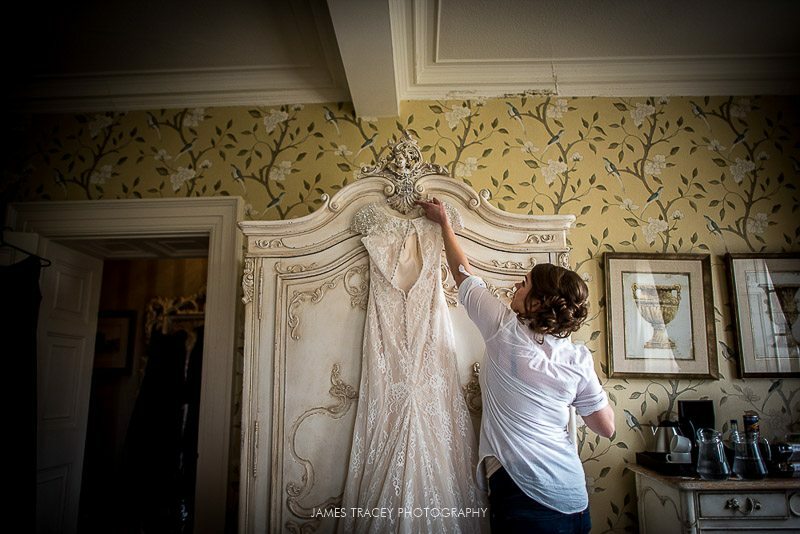 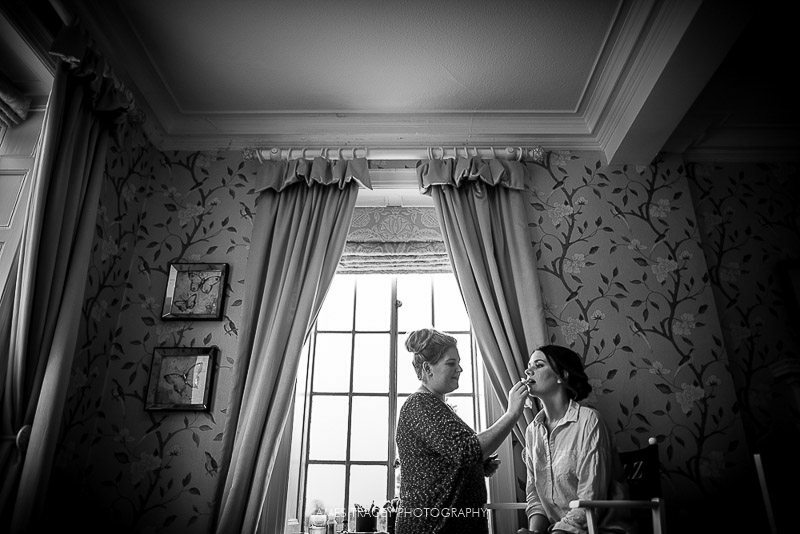 Kayley was getting ready in the main bridal suite and it was nice to see Samantha Mercer on hair and make up duties again. 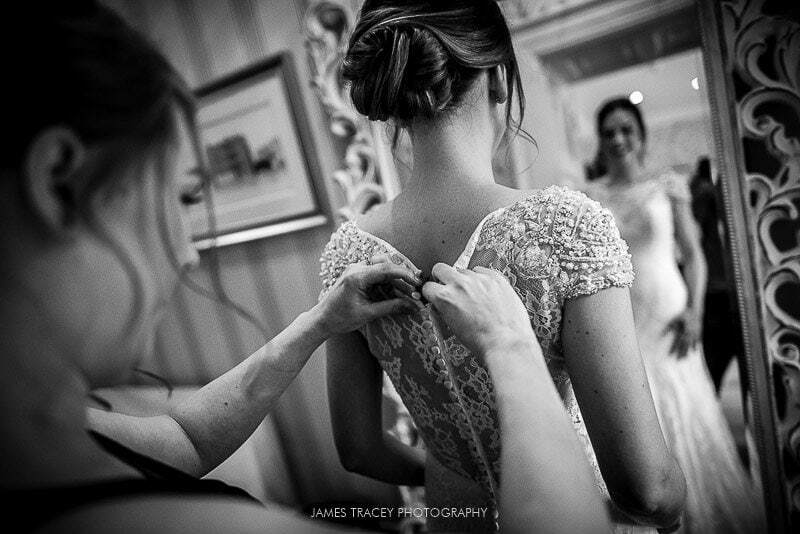 The preparation flew by and Kayley was soon in her dress with her father seeing her for the first time. 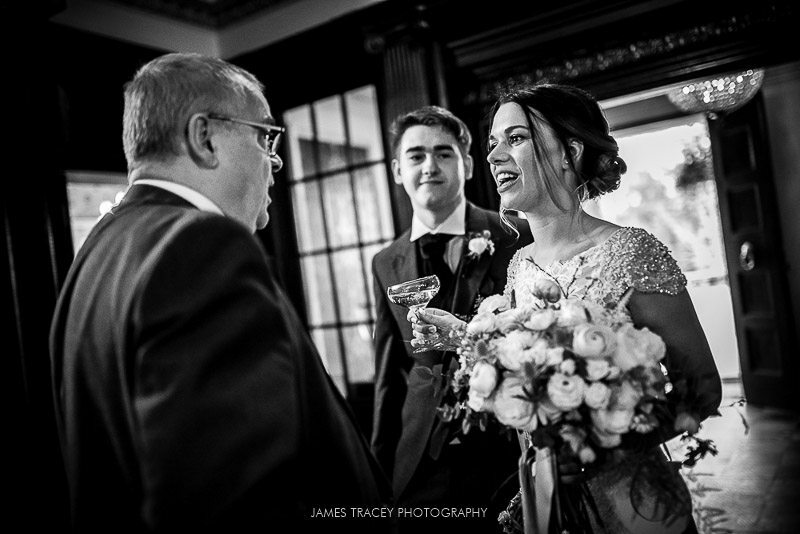 The marriage service was conducted by the same registrars as the last wedding I photographed at Eaves Hall (the registrar remembering me as we are both ex-police) and it was another fun and personal service, perfect for Kayley and Alex who are a very relaxed and easy going couple! 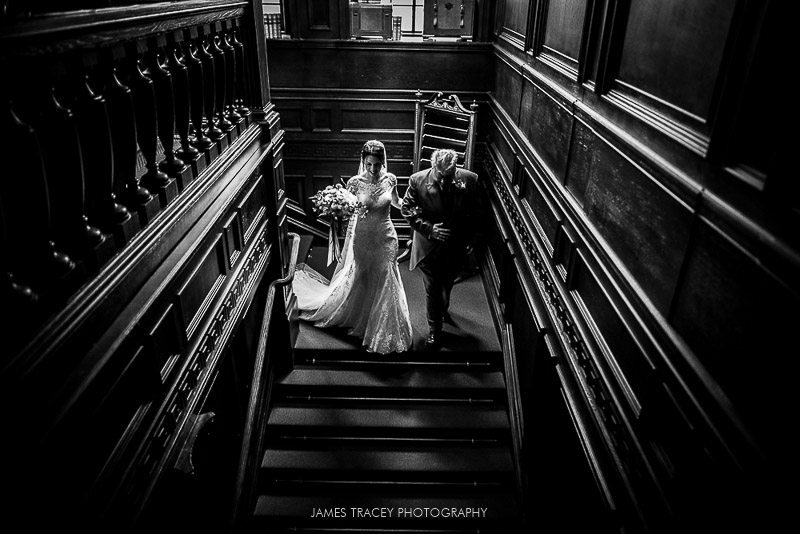 Once the first kiss had taken place all the guests made their way onto the stairs outside Eaves Hall for a terrific confetti photo, one of my favourite photographs from Kayley and Alex’s Eaves Hall wedding. 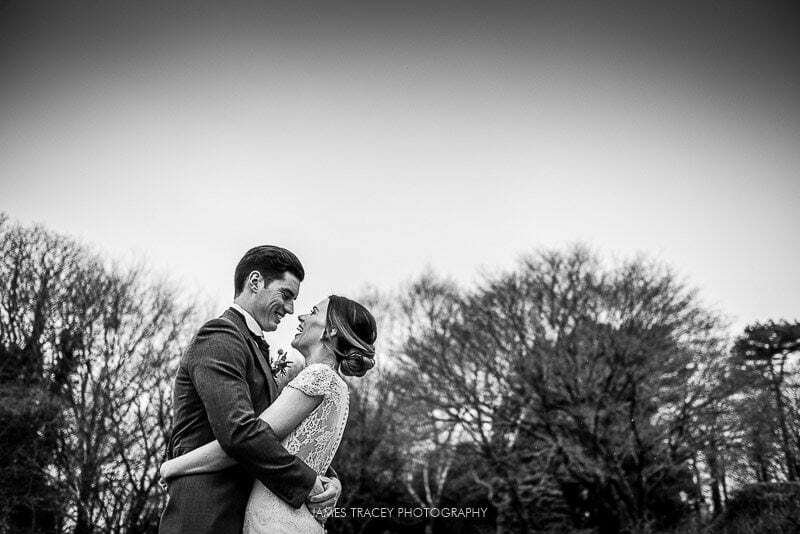 With the weather being typical of April, we braved the light rain to grab 15 minutes worth of natural couple photos in the grounds of Eaves Hall. 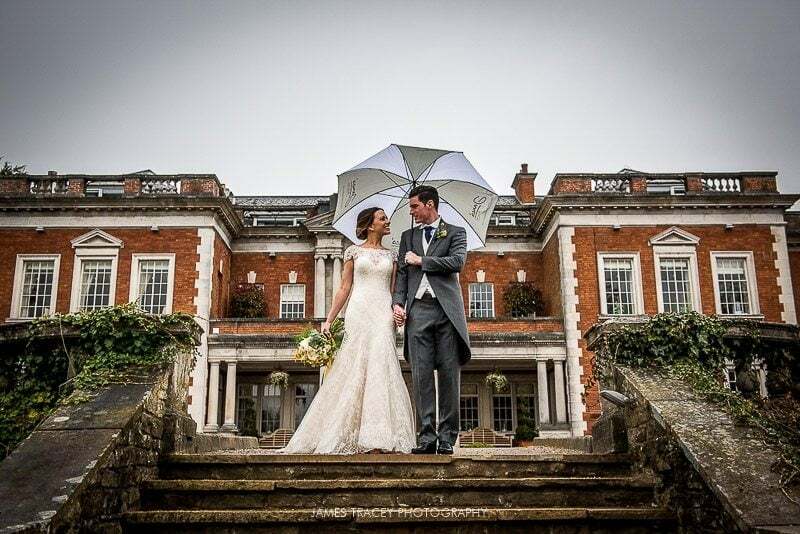 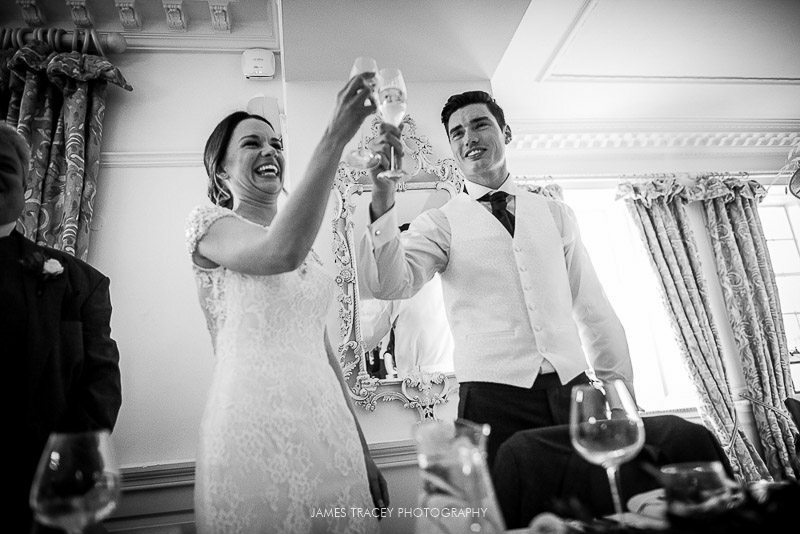 Despite the less than perfect conditions, Kayley and Alex were absolute superstars and never complained once about the rain and we quickly got the shots before returning inside so Kayley and Alex could grab a well earned glass of fizz! 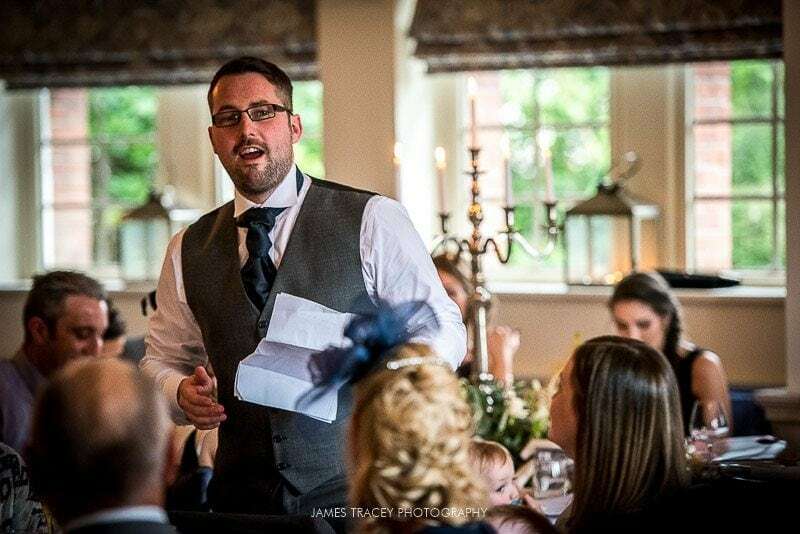 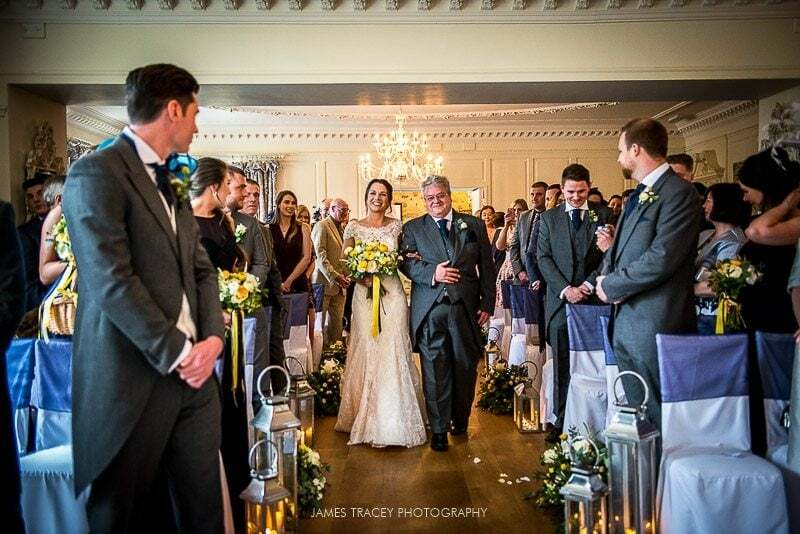 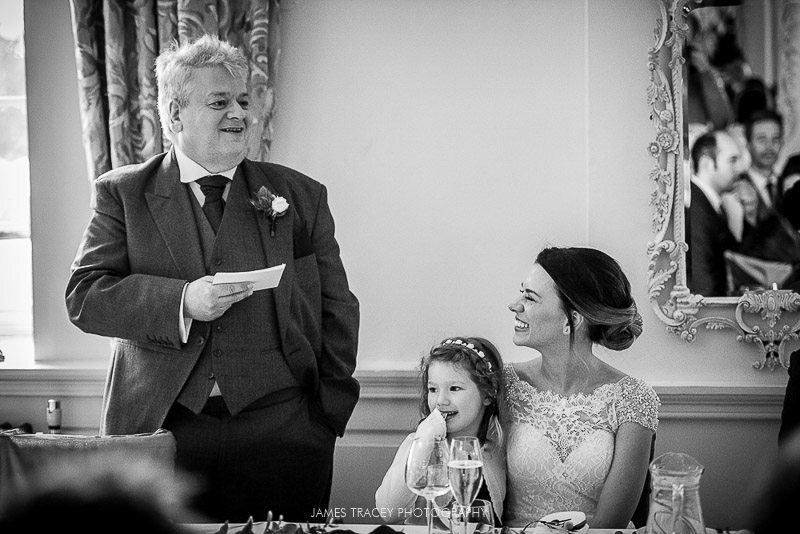 The speeches kicked off the wedding breakfast and Alex was well and truly ribbed by his new father in law who desperately wants any future grand kids to support his beloved Southampton rather than Alex’s team, Burnley. 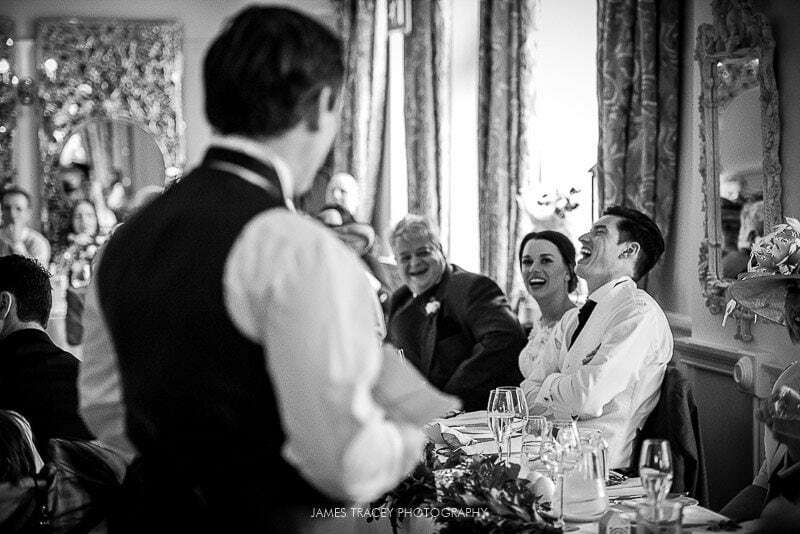 After that, Alex’s two best men then continued to rip his good name apart (all in good fun) and I thoroughly enjoyed their performance which got a well deserved standing ovation. 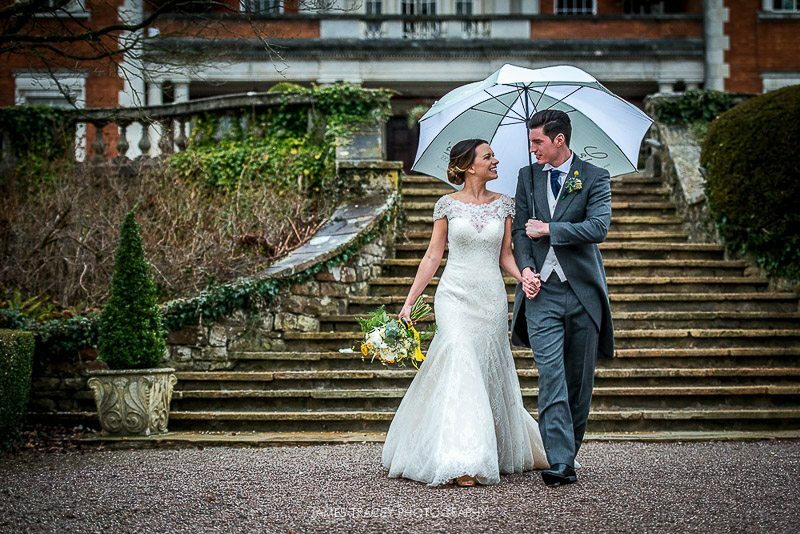 With the rain still pouring down I knew that we could get a brilliant back lit photo outside Eaves Hall and Kalyey and Alex were pretty impressed with the photo at the top of the blog when I showed them a sneak peek on the back of my Nikon. 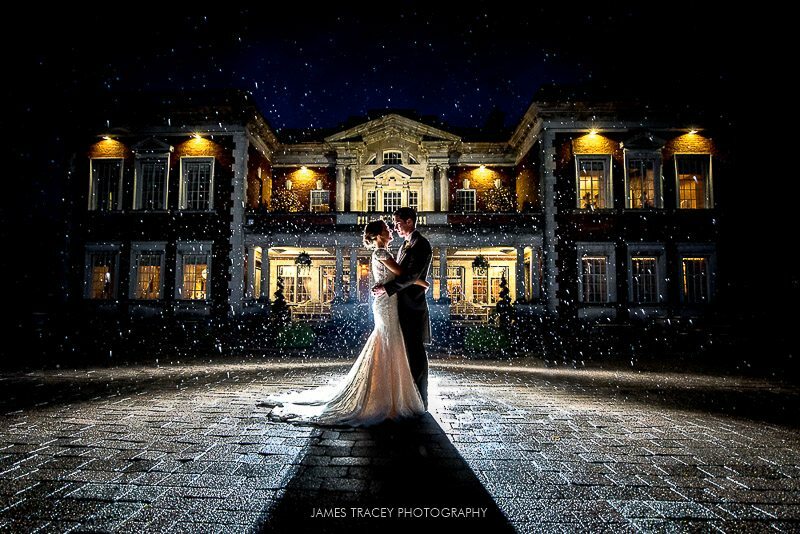 Rain can be a bit of a pain on a wedding day but it can also create some amazing wedding photographs. 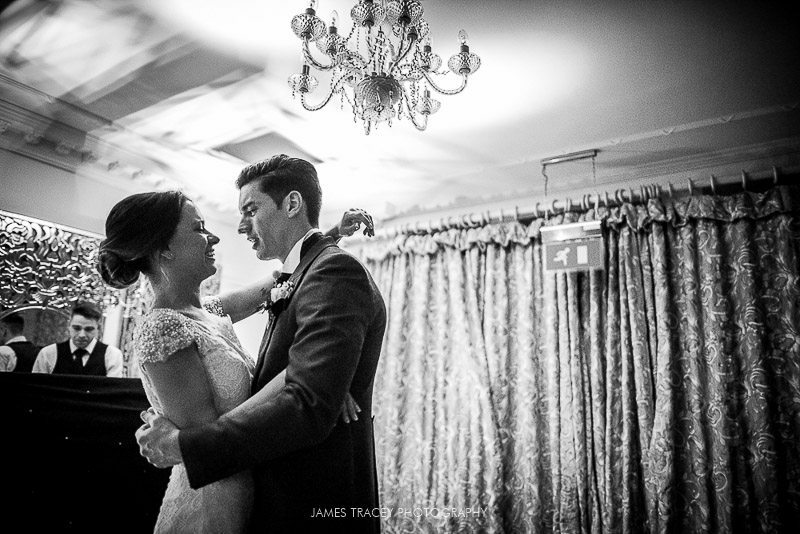 The top team from Dancefloor Couture were on hand to get the first dance and party started as I finished shooting my second Eaves Hall wedding. 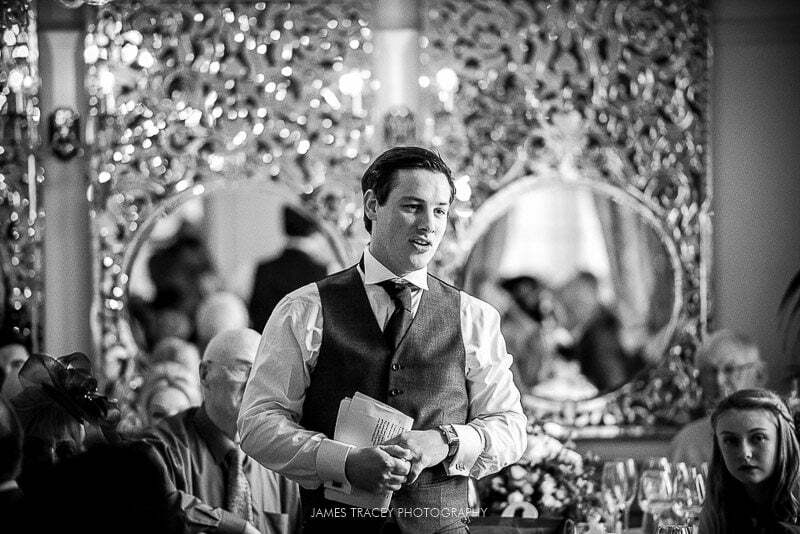 Once again a massive thanks to Barry and the team at Eaves Hall for looking after me, feeding me more than any human could possibly eat and making the day run so smoothly. 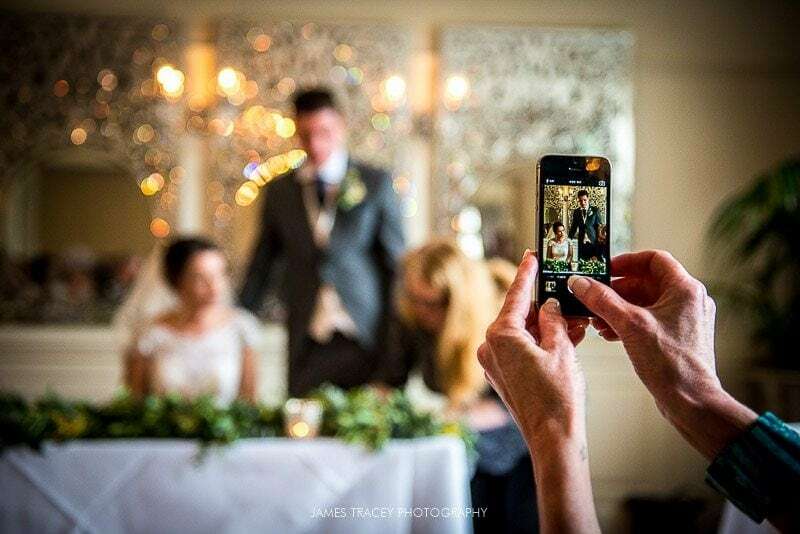 It really is a top class venue then go and look at Eaves Hall for your wedding.